Slick, smart, sophisticated; get ready to enjoy modern dining with this incredible 63″ Square Raw Concrete Dining Table & 4 Bench Set. 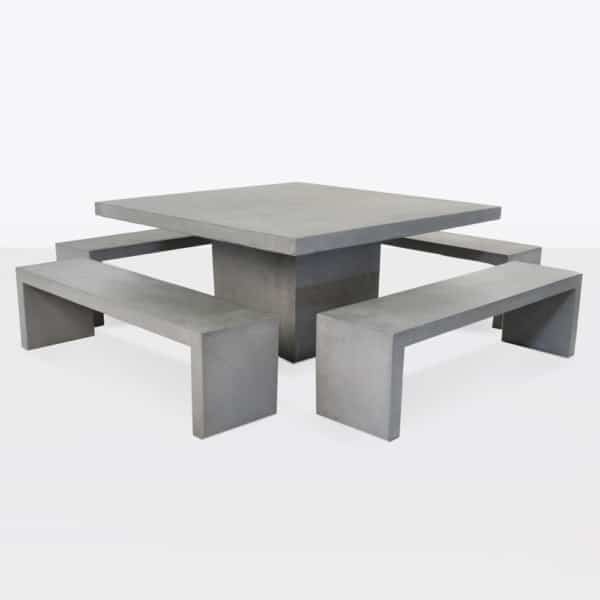 Whether taking focus in the sunny spot on your porch, or overlooking your ocean view or even indoors as a funky yet polished dinner set; the Square Raw Concrete Dining Table & 4 Bench Set will make a glamorous impact anywhere it is placed! 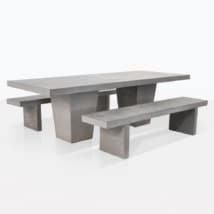 Featuring our best selling Raw Concrete Dining Table 63” and 4 of our Modern Raw Concrete Benches paired together to create a solid union of excellent furniture! 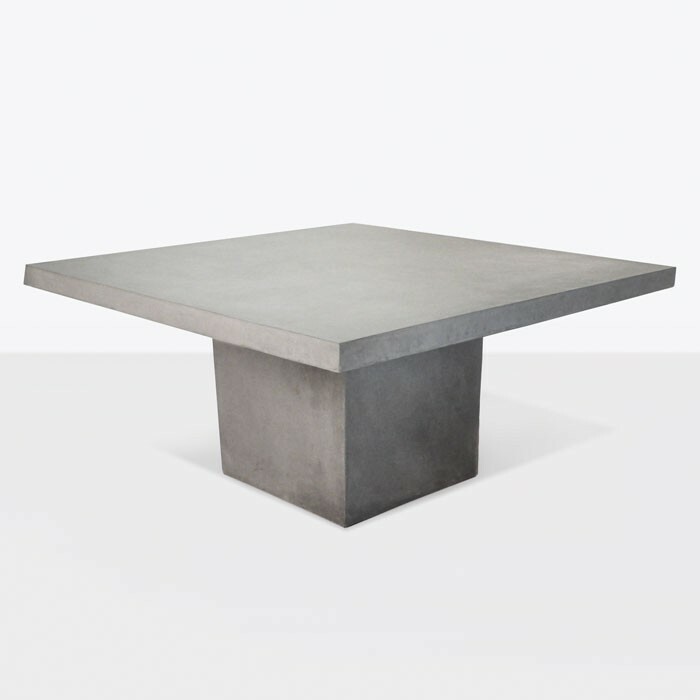 The Table at a large 63 inches square is ideal for family dining, enabling you to place platters, glasses, candles and decorations in the center of your table while still giving plenty of individual room for your guests! 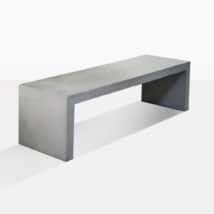 The Modern Benches have a simple ‘n’ shape which is both clean and dramatic because of the materials used. This Square Raw Concrete Dining Table & 4 Bench Set is made out of composite concrete which makes it lighter than traditional concrete. Our raw concrete furniture are sturdy and resilient and the materials make for the perfect, life long items. 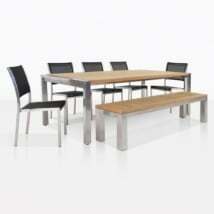 The table as well as the benches are 63″ in length which creates stunning clean lines for any environment. 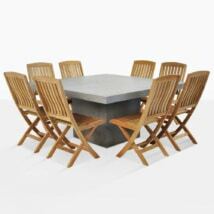 Purchase this set or mix and match your favorite chairs in outdoor wicker or teak for the perfect outdoor dining. Items are sold separately. View each item on our website! Have questions about how to configure your space? Our sales staff are experts at finding the right combination to suit different areas. Call our 1-800 number today! We are in store 7 days a week!